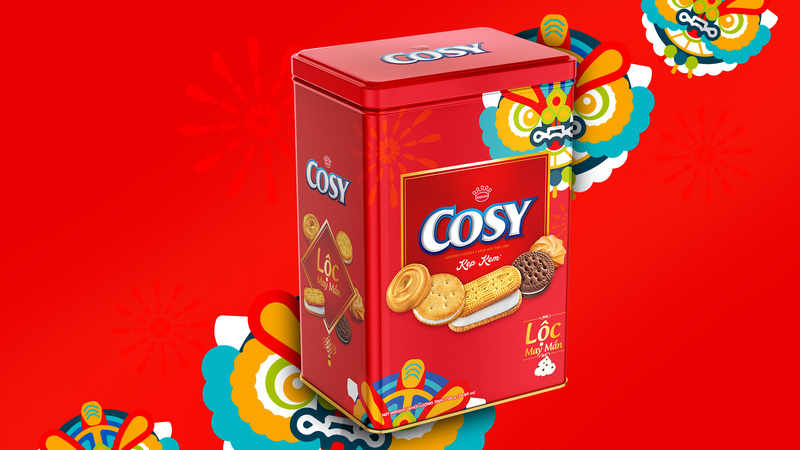 Every year when the lunar calendar turns to welcome a new year a stampede of New Year designs are launched onto the shelves and market places. 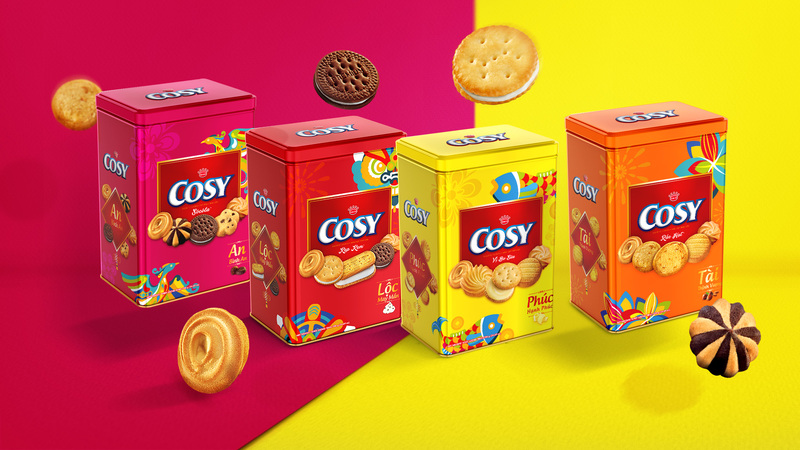 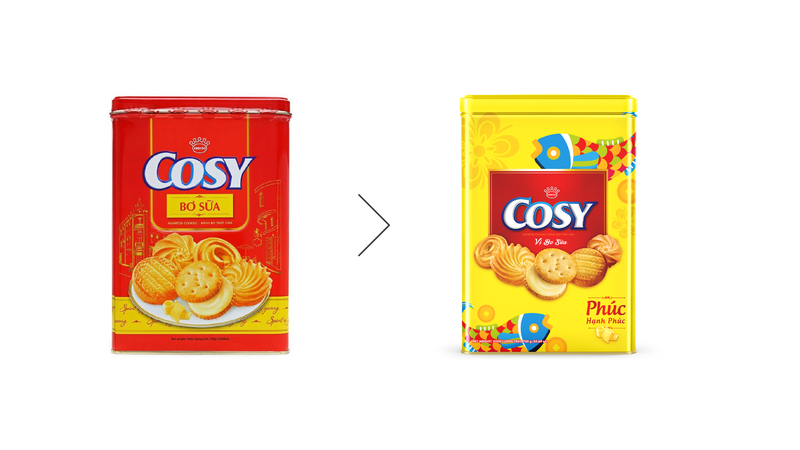 Tasked by Mondelez Vietnam with redesigning their assorted cookie brand Cosy, making sure it is relevant during the season and most importantly stands out among the other brands. 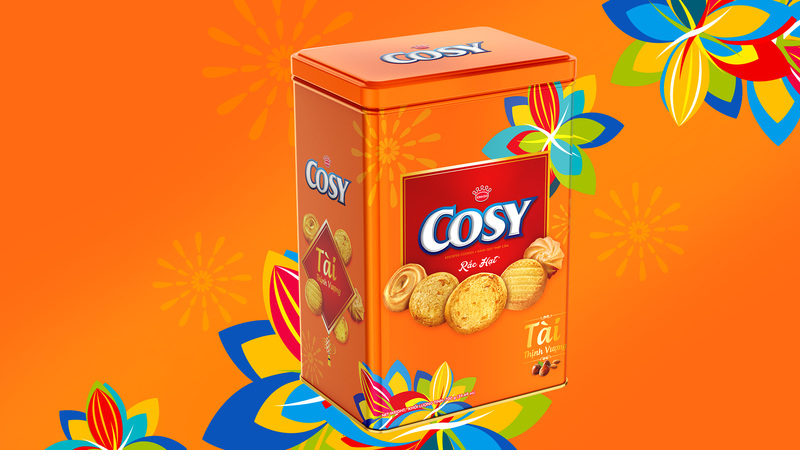 The Circle opted for bold colours and modern takes on traditional graphics used during the festive season. 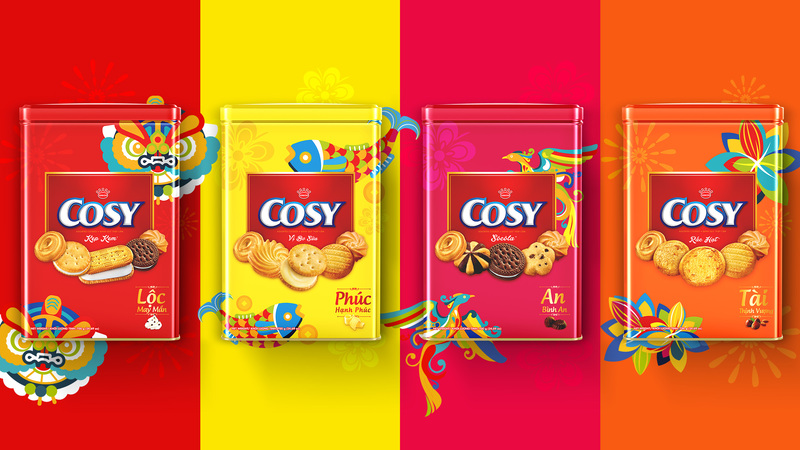 The fresh colours used in combination with the multicoloured graphics, expressing the cheerfulness of the brand, stood out strong amongst competitors driving choice.